That guy was unbelievable. How could he just come in my place of work looking so weird like that and ask me to ‘have some fun’ with him. Was he out of his mind or something? Thank god Holy took the day off or I would have a hard time explaining to her what just happened. He seemed decent yesterday, almost nice even and I almost changed the horrible image I had of him in my mind but I guess I should had just trusted my gut feeling when it came to him. He was bad news. Youssef and I should stay away from him. “Iman, is everything alright?” Mazen asked worriedly. “Yeah, everything is fine.” I smiled covering up my inner feelings. “Did you need anything?” He asked quizzically, that was when I realized I was in his office as a get away from that guy. “No. 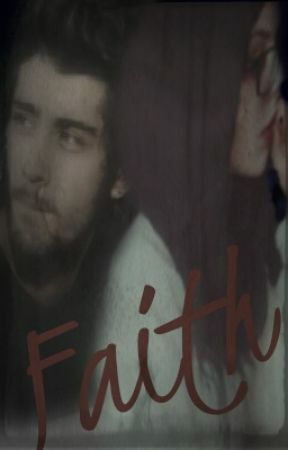 Sorry, I bothered you.” I faked a smile and got out of his office slowly to see if that guy, Zayn, was still there. Unfortunately, he was. “Um, Mazen?” I was hesitant to ask him this but I didn’t want to go back out there with Zayn still there. “Yes?” He asked giving me a worried glance. “There is this customer outside that won’t leave.” I said in an embarrassed way. “Customers are allowed to stay here as long as they want if they are reading something or working on the computers.” He stated, feeling confused about what I said. “I know but he’s not really reading or using our computers or even ordering anything from the café part.” I trailed off hoping he would get the hint. Following Mazen out of his office to where Zayn was, I looked down not wanting to make eye contact with the guy. I was feeling uncomfortable enough with this whole situation. “Can I help you?” Mazen asked Zayn politely. “No, it’s not you who I want.” He gave me a smirk that made me feel uneasy. “I’m sorry but I’m the only one available right now.” Mazen forced a polite smile on his face, acting like a professional person. “I’m available too.” His smirk was so annoying. “Okay that’s it. 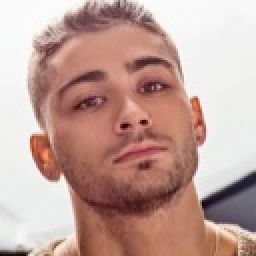 Obviously you are not going to buy anything so I suggest you leave now.” Mazen took a step forward, closing the distance between Zayn and him. Mazen was stronger than Zayn was, even though they were of same height but Mazen’s body was well built while Zayn was considered stick-thin compared to him. “Think about what I said.” He winked at me but Mazen stood in his face making him take a step back with his hands up in surrender before he left. Sighing in relief, I got back to my place behind the counter after I thanked Mazen then got on the library’s computer to continue my flyer designs for the book club I was organizing. Not too many customers came in after Zayn left and I had time to finish my designs for this weekend’s meeting just in time before my shift ended.